Iron Fist Changes Showrunners for the Second Season, Which Is...Good? At San Diego Comic-Con, head of Marvel Television Jeph Loeb announced that Iron Fist would be getting a second season. It was also announced via EW that the showrunner would be changed from Scott Buck to Raven Metzner. Scott Buck has been criticized heavily for how Iron Fist turned out and how Inhumans looks (even though Inhumans hasn’t come out yet). 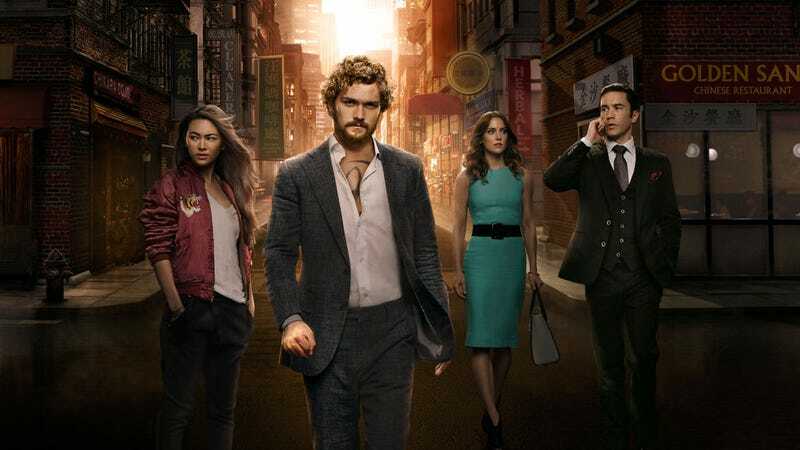 In my opinion, Iron Fist started out incredibly slow, but did gain a lot of momentum in the second half of the season, even if it is still the worst of the Netflix shows. Still Scott Buck did write the first two very slow, heavily criticized episodes and it seems as if part of the problem of the show was simply how fast they filmed it. So changing showrunners might help. Changing showrunners to Raven Metzner...might not. Looking at his IMDb page, Metzner’s biggest credit is writing the Elektra movie, which isn’t a good sign. He was a writer and producer on What About Brian, Six Degrees, and Daybreak, the later of which I heard was really quite good, so that’s a positive. He was also a writer/producer on Falling Skies, which I heard was great. But then he was a writer/producer on the last three seasons of Sleepy Hollow, which managed to take a well-regarded if crazy show and turn it into a piece of hot garbage. So...is this a good thing?